How often do you find yourself looking outside for solutions to our environmental crises -- Federal regulation, conservation of wildlands, and the greening of industry. These are all efforts that need to be pursued, but I end up spending so much time reading NEPA analysis or sending in public comments on proposed projects that I may lose sight of what is truly within my power to change. That is why it was refreshing to learn that the US Green Building Council, and the Sierra Club's My Generation Campaign and San Gorgonio Chapter sponsored a home energy efficiency seminar in Southern California. 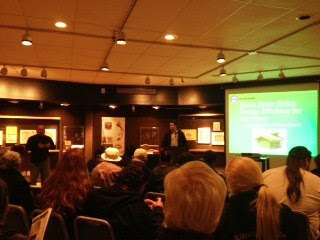 The seminar is part of a series that will focus on increasing awareness of efficiency and local clean energy (i.e. rooftop solar) solutions in underserved communities. I hope to have advanced notice of future seminars in this series, and I will advertise them here on the blog. Pet cats kill 1.4 to 3.7 billion birds in the US each year, according to a study conducted by scientists with the Smithsonian Conservation Biology Institute and the Fish and Wildlife Service. This is a significant problem that bird conservation groups have tried to address for years, although the revised numbers are very startling. 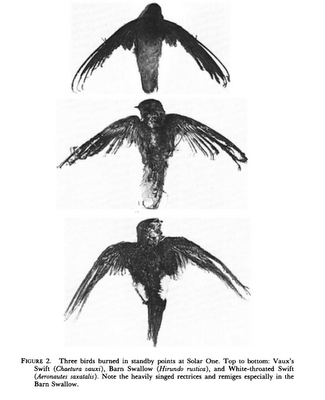 Unfortunately, this disaster is used by some industry advocates to belittle another cause of avian mortality -- wind turbines. 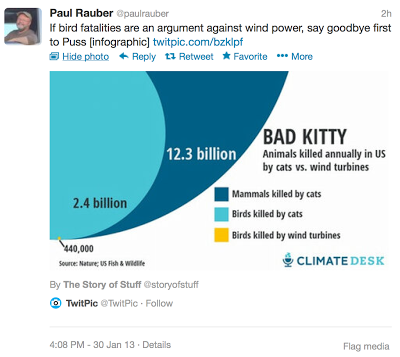 Sierra Club senior editor Paul Rauber broadcast a Tweet and a blog post this week giving credence to this false logic, implying that if one cause of bird mortality is significantly greater than another, the lesser cause can be ignored. I wrote last weekend about a last minute motion by three Los Angeles City Council members who sought to kill a feed-in-tariff proposed by the city's utility company, Los Angeles Department of Water and Power (LADWP). I am happy to report that the motion was not approved, and the feed-in-tariff will survive (thanks to the folks who went to the council meeting and spoke up, and for the supportive council members!). The feed-in-tariff is hopefully one of LADWP's initial steps toward generating more clean energy locally, and relying less on far away power plants that destroy desert wildlands. Not long ago I posted about my opportunity to clean up open desert near my sister's home. 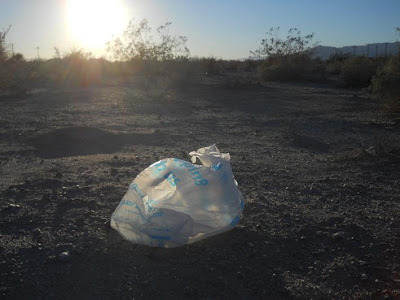 Trash of all sorts -- plastic bags and cups, newspapers and cardboard boxes -- had been strewn about a couple of acres of habitat in the western Mojave. It does not take much time or effort to make a significant difference, and two other organizations committed to clean communities and deserts have proven this. It's our community. Our public lands. Keeping the places we love in clean and pristine condition is our responsibility. 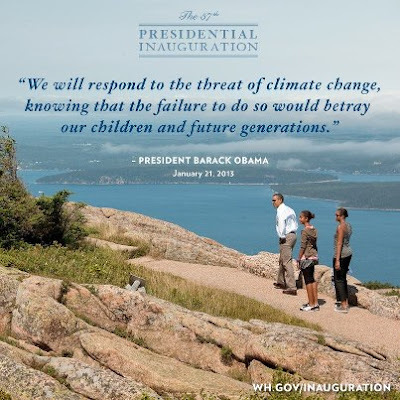 The President made a clear commitment in his inaugural address today that his administration will tackle climate change and pursue "sustainable" energy. Let's fight for a local clean energy path that replaces fossil fuels, and preserves wildlands. Update: Rooftop solar prevails! The Los Angeles City Council denied the motion that would have jeopardized the rooftop solar incentives! Come on, Los Angeles! Earlier this month, the Los Angeles Department of Water and Power (LADWP - the utility company for the California metropolis), approved a feed-in-tariff that would have expanded its local solar generation capacity by 100 megawatts. The cost would probably be pennies per month for most households. The benefits -- clean energy generated in the city, replacing toxic fossil fuels, and more jobs. 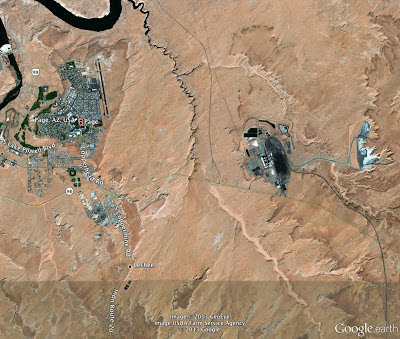 The EPA this week took a significant step toward reducing harmful emissions from the Navajo Generating Station (NGS), one of the largest coal power plants in the southwest, although the emission reductions will be delayed by a compromise between the EPA and the plant owners. Located in Page, Arizona, the NGS ships its 2,250 megawatts of energy to multiple utility companies, and spews over 19 million tons of carbon dioxide each year. The EPA's proposed rule specifically targets NGS' nitrogen oxide (NOx) emissions, which adversely impact our respiratory health and deposit a smoggy haze in 11 National Parks and wilderness areas in the southwest, including Grand Canyon National Park. I just finished reading Nicholas Clapp's Gold and Silver in the Mojave: Images of a Last Frontier. My interest in the desert is mostly in the natural history, but the human history is closely intertwined. You cannot explore the desert without running into reminders and relics of the relatively recent mining boom, which involved lonely prospectors creating boom towns if they struck a significant deposit of gold, silver or copper. There are also stories of manipulation and exploitation by corporations and frauds -- something that we still see in our deserts today. Luckily for the birds using habitat along the Colorado River, part of the bird migratory corridor known as the Pacific Flyway, BrightSource Energy has temporarily suspended its plans to develop the Rio Mesa Solar project. The California Energy Commission (CEC) staff, wildlife officials and conservation groups expressed concern during environmental review that the project's proposed location and design -- involving the solar power tower technology -- puts birds at risk of collision with the project's thousands of mirrors, or risk of eye damage and burning from superheated air above the project. 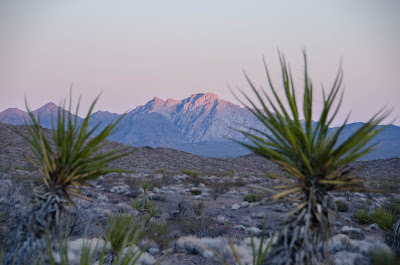 Element Power appears to have cancelled its plans to build a wind energy project on desert wildlands near Pioneertown and Joshua Tree National Park, according to BLM records. The company drew the ire of conservationists and fans of the desert when it installed meteorological testing towers, and signaled interest in eventually installing giant turbines that would stand over 420 feet tall. Element Power in December submitted a request to relinquish its wind testing right-of-way due to poor wind resources in the area. 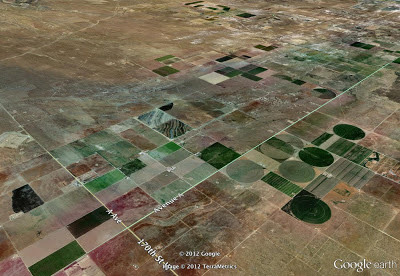 Energy company Iberdrola Renewables is still looking for a way to bulldoze a portion of the Silurian Valley, a quiet desert landscape nearly 15 miles north of the town of Baker, California. Iberdrola as of last year had plans to build a wind energy project in the Silurian Valley, but likely conflicts with Department of Defense training and testing activities forced the company back to the drawing board. According to BLM records, Iberdrola is now considering building a large solar project, which probably would sidestep conflicts with Department of Defense interests. The owner of the stalled Calico Solar project is asking for a deferral on nearly 600,000 dollars in rent owed for reserving a large swath of public lands. 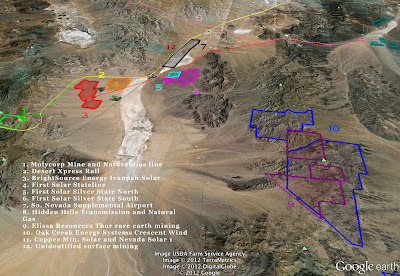 You might remember the long saga of the proposed Calico Solar project, which will destroy up to six square miles of desert habitat in the central Mojave Desert if California and Bureau of Land Management (BLM) officials give K Road Power the green light to convert the previously approved plans from solar thermal to photovoltaic technology. The short version is that the initial project plans were approved in late 2010 despite environmental concerns, but the previous owner went bankrupt and sold the project to K Road Power, which decided to alter the plans enough to warrant further environmental review. 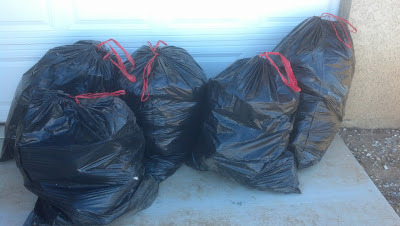 It took my sister and I about an hour to remove enough trash from a patch of Joshua tree and pinyon juniper habitat in the west Mojave Desert to fill five garbage bags full of trash, not to mention a few card board boxes that did not fit in the bags. This is one of the edge effects that population centers have on the desert -- trash that either blows away from the owner or dumped illegally (I'll address the latter in a follow-up post). The trash can pose a fire hazard, trap or choke some wildlife, and is a blight on the landscape. The Bureau of Land Management (BLM) last month issued the final environmental impact statement for Duke Energy's Searchlight Wind energy project, signaling initial approval for the company to industrialize nearly 29 square miles of Mojave Desert habitat near the small town of Searchlight, Nevada. Once the Department of Interior signs the record of decision -- expected early this year -- Duke Energy will transform this peaceful corner of the desert with 87 wind turbines (each standing taller than the Statue of Liberty) 35 miles of new gravel roads, and 16 miles of new transmission and collector lines, according to the BLM assessment. Construction will require over 9,000 trips by diesel trucks, and tons of cement and steel.